Surgery. The word itself is unsettling to many people. Fear of going “under the knife” can make marketing a surgery program an unpleasant and difficult challenge, despite the fact that surgery is often the best and most efficient form of treatment. Fortunately, the advancement of laparoscopic tools and methods offer a less invasive option that appeals to many patients. Some healthcare marketers suggest branding these procedures as “Short Stay Surgery” programs, as well as highlighting the top benefits through advertising and direct communication with patients. 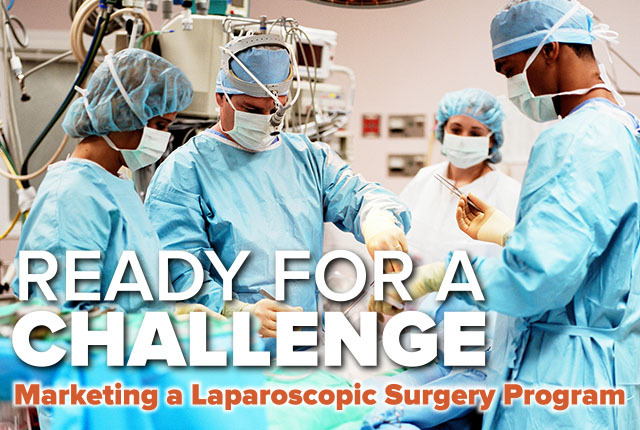 In many cases, patients undergoing laparoscopic procedures are released within 24 hours. It is often the dread of a long recovery that forces many people to prolong or put off a necessary operation, so this selling point is one that will likely resonate well. Although there are risks associated with any surgery program, laparoscopic surgeries often come with less risk of infection, less scarring and faster recovery time with fewer complications. By communicating these benefits clearly, marketing teams can help physicians better educate their patients on procedures to help alleviate fears. Visit Red Crow Marketing for more information on surgery program marketing success stories.